It’s that time of year when hydrating properly and drinking extra water is so important. 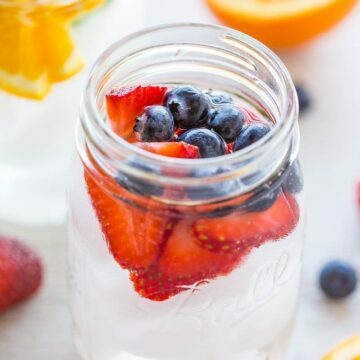 I’m naturally a water drinker and almost never drink soda or sports drinks but sometimes jazzing up water with fruit helps it go down easier. 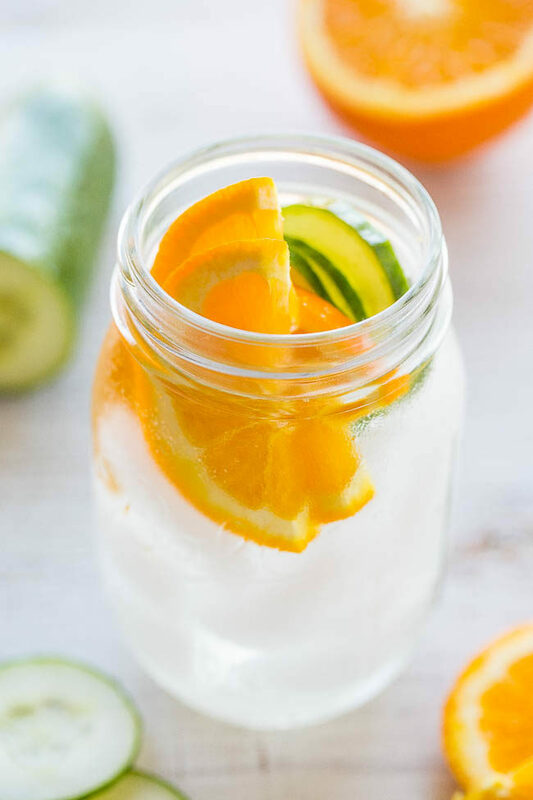 There’s really no wrong way to make flavored water, or spa water as I like to call it because it reminds me of the water I’ve had at fancy spas after a massage on vacation. I made two versions here but the possibilities are endless. First there’s a berry blend with strawberries and blueberries or try raspberries or blackberries. Next is a citrus cucumber version with oranges and cucumbers. Lemon works great in this one, too. You can make a pitcher at a time or do a single serving. For the single serving I used 8 ounce mason jars and added 1/4 cup berries total or 6 slices total of oranges and cucumbers. Add as much fruit or vegetables as you want for the flavor intensity you’re going for. Top off with additional water as many times as possible (usually 2 to 3) until the fruit starts losing its flavor. 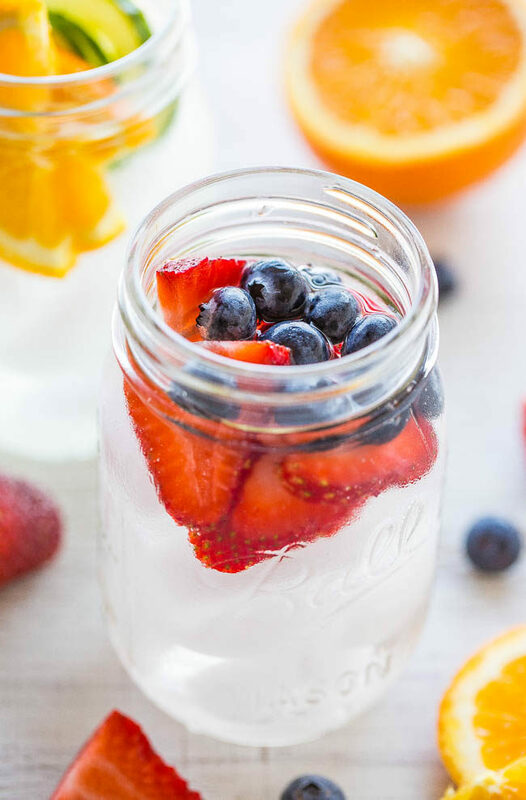 Sometimes jazzing up water with fruit helps it go down easier and makes staying hydrated easier. There’s really no wrong way to make flavored water, or spa water as I like to call it because it reminds me of the water I’ve had at fancy spas. I made two versions here but the possibilities are endless. 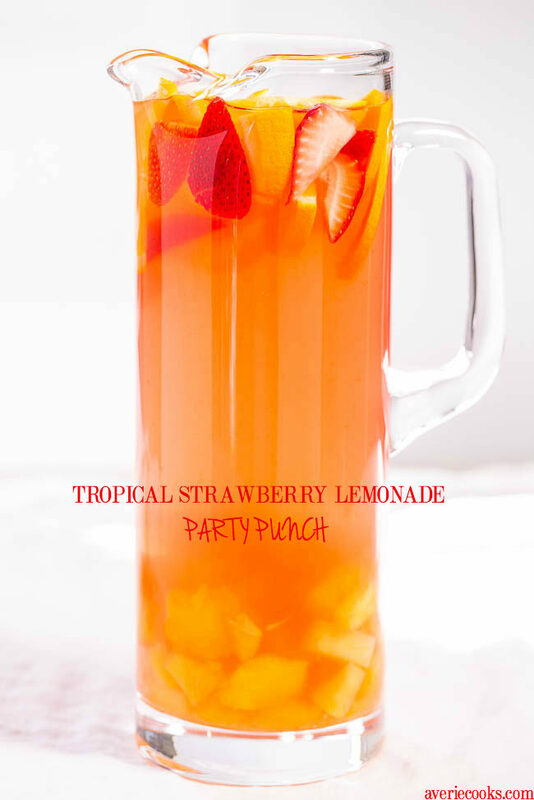 You can make a pitcher at a time or do a single serving. Add as much fruit or vegetables as you want for the flavor intensity you’re going for. Top off with additional water as many times as possible (usually 2 to 3) until the fruit starts losing its flavor. For either blend, add the fruit or vegetables to a large glass, cover with water and ice, stir, and serve. Top off with additional water as many times as possible (usually 2 to 3) until fruit starts losing its flavor. 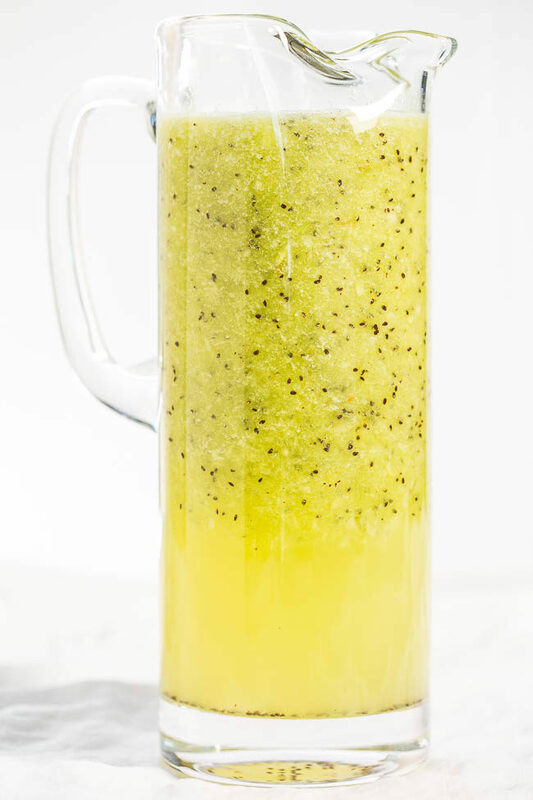 Kiwi Agua Fresca – Refreshing, healthy, naturally sweet, so easy and ready in 30 seconds! It’ll be your new favorite drink! These are beautiful–and I love seeing pitchers of them as well. So many possibilities too. One of my co workers makes a cucumber, lime, mint variation in the summer. I love cucumber and mint together – never thought to add lime, too! Great post (and reminder)!! 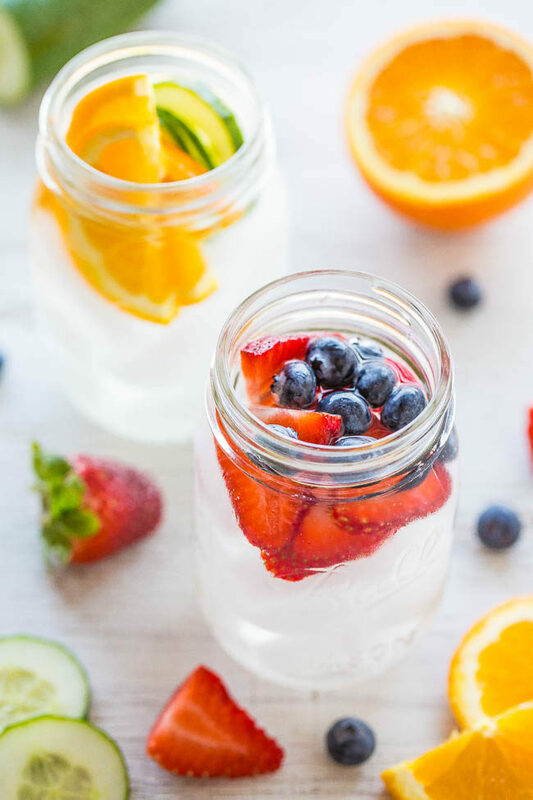 The pop of color and flavor makes it enticing to drink more water!! Beautiful photos! I agree with Mir–tasty and pretty! Like you, I rarely drink soda (or pop as we Michiganders call it) but sometimes I want something more “fun” to drink (non-alcoholic, that is!). Good ideas here! Pop…ha! I grew up in MN and in the midwest, it’s just pop, anywhere you go for sure! They’re so pretty! Perfect for garden parties or just about any occasion. Mint is a great id and believe it or not, try rosemary… very tasty! I’ve had rosemary in cocktails and it’s actually a great twist and flavor with the right drink. I bet it would be nice in water too! I totally need to try this. 99% of the time I only drink water but I always forget. Having it flavored would make me remember! Have you ever tried boiling skinned fruits. I’ve never tried the method you describe. I’ve blanched fruits to remove the skins and I’ve canned jam, but not this exact way. Sounds great! Great suggestions! I love lemon and basil water during the summer months. I went to one restaurant that put a sage leaf in the water, and it was surprisingly good! I can see where sage would be good…also rosemary in the right application, too!